Congrats to all 365 participants of the Jack Frost Challenge in Manitoba! This year we saw hundreds of Manitobans get out there and enjoy winter, even with the high winds and those low windchill temperatures. 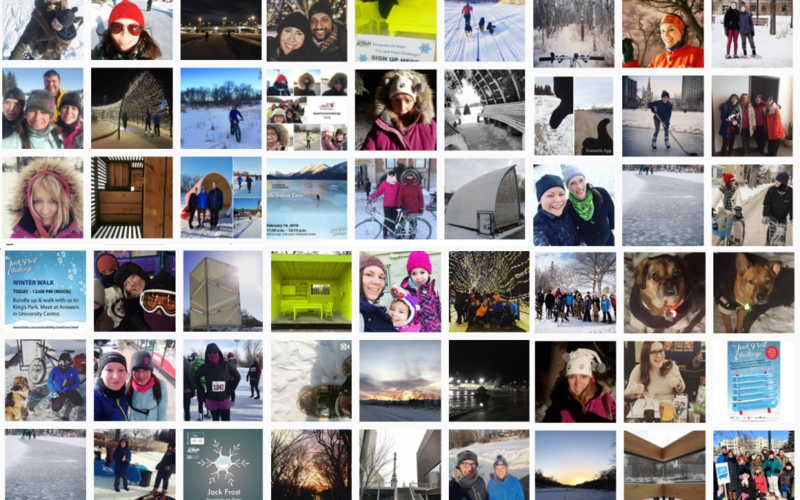 Despite the cold, many Manitobans made the most of it and clocked some serious kilometres with friends, family and coworkers. 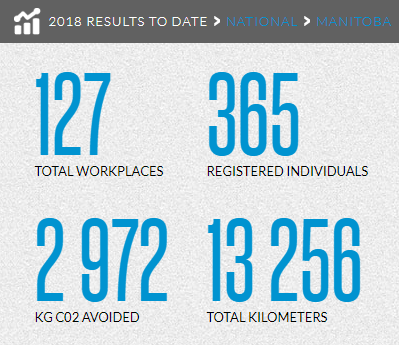 Click here to see how you or your team fared compared to all of the other registered teams in Manitoba! In addition to the sheer joy awarded to you by participating in getting active outside during Jack Frost Challenge, we also had some great prizes to award and street cred to acknowledge. Winners announced below! Everyone who took the extra step to use the new sustainable transportation app GoManitoba during the Jack Frost Challenge were eligible for an additional chance to win this awesome prize! IG user: @deebo27‘s post and lovely quote for the win. Your 5am runs are most inspiring too! Facebook: Cheryl Tollda Acosta got her kids outside for some outdoor fun to celebrate JFC. All bundled up and ready to roll around outside as a family! Twitter: Trevor Skidmore sharing the beauty that is his morning winter bike commute along the river. These folks each won a group pass to Fort Whyte Alive! Best Team Name (decided by popular vote) Cirque de Sore Legs (Onanole, MB) This winning name was determined by popular vote after the challenge wrapped. This team won a swag bag of winter gear, ice grip for shoes and a reusable mug! Best Frosty Face Check out the winning Frosty Face pic here! Rogério is from Maringá Brazil where he tells the temps rarely drop below +15°C. The lowest temperature I could find on record is +6°C. He is rocking this frosty look! Fair Trade Bag: Hot chocolate, teas, coffee and a Fairtrade tote bag filled with other fun. We also threw in some hand warmers to keep you toast. Family Fun Childrens Museum package: Awarded to @TheBotanical on IG who shared their family fun with us online throughout the challenge. They took their little baby on his first snowshoe ever!